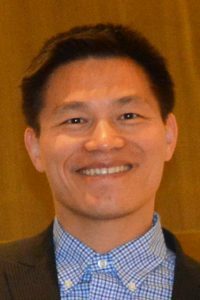 Zan Gao, Ph.D., School of Kinesiology associate professor and director of the Physical Activity Epidemiology Laboratory (PAEL), recently served as the lead guest editor for a Special Issue titled “Physical Activity in Children’s Health and Cognition” published by the journal BioMed Research International. For this special issue, the guest editor team invited investigators to contribute original research articles and review articles to stimulate continuing efforts to understand the relationships between physical activity, health and cognitive development among children. Studies that examined the effectiveness of physical activity on various health outcomes and cognition in early childhood and correlates and determinants of physical activity and sedentary behaviors from early childhood to middle childhood were also of specific interest. The Special Issue includes 14 original articles, 1 review article, and 1 editorial contributed by research scientists in the US, China, and Europe. Gao led the team in writing the editorial for the publication.